Midi dress are the most versatile. Either match it with sneakers for that laid-back look, or a pair of heels to spice up the outfit. 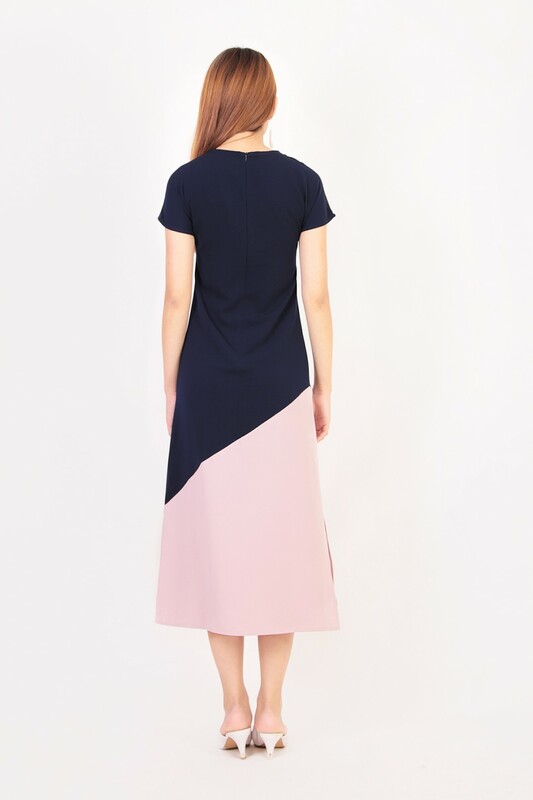 This slim-fitting shape features colourblock prints and slits that soften this lovely frock. Available in Pistachio / Forest Green and in XS/S/M/L/XL. Made of quality polyester. Comes with back concealed zip and sash. Non-stretchable.